The radiology field encompasses medical professionals who use different image technologies to help physicians diagnose patient ailments. There are a wide range of professions in this field that require education ranging from 1 year of training to 10 years of education. All radiology professionals share an in-depth knowledge of anatomy, physics and patient care. By using their unique skills and knowledge of noninvasive radiological technology, professionals in radiology help enhance diagnostics and treatment. The medical field of radiology is specialty that involves both diagnostic and interventional elements. It is directly connected to almost every other hospital department. A diagnostic radiologist is a physician who employs various imaging technologies to determine the nature of a patient’s condition. Such technologies include x-rays, or radiographs, ultrasound, computed tomography (CT), magnetic resonance imaging (MRI) and position emission tomography in tandem with computed tomography (PET-CT) or magnetic resonance imaging (PET-MRI). An interventional radiologist is directly involved in managing a patient’s treatment. This includes procedures such as angioplasty or introducing stents, as well as urgent procedures such as stopping hemorrhages. Most radiologists perform both diagnostic and interventional functions. Radiotherapy is a separate specialty and belongs to the realm of clinical oncology. Physicians in this area work with the support of assistants in the form of radiation therapists. Radiologists are supported by a variety of qualified technologists and technicians, which include radiological technologists, MRI Technicians, Medical Assistants with Limited X-Ray, Radiologist Assistants and Ultrasound Technicians. Radiologists are physicians who work “behind the scenes” in the hospital or clinic, performing tasks such as making diagnoses, consulting with physicians and helping prepare patients for a procedure. Like all physicians, radiologists must earn their MD, complete a 2-year residency and earn their license. On average, radiologists earn around $350,000 per year. Radiologist is a good career choice for doctors with excellent technical and analytical skills. Radiologists are specialized doctors who provide diagnostic imaging support in a hospital. These professionals perform tasks such as diagnosing illnesses and injuries, consulting with physicians and operating imaging technology equipment. Through many years of quality education and training, radiologists become experts in the use of various medical imaging technologies in order to provide an accurate diagnosis based on image results. Involving the use of many different technologies, such as ultrasound, computerized tomography and nuclear medicine, this highly technical position is critical in the medical process – producing fast and accurate diagnoses so that treatment may begin as soon as possible. The job responsibilities of a radiologist include preparing for imaging procedures, consulting with the patients’ doctors and interpreting imaging results to make an accurate diagnosis. Professionals in these field must have a thorough knowledge of medical technology and the disease process, be able to work in a hospital environment. Radiologists are licensed physicians, and must earn their MD, in addition to completing a 2-5 year residency. Education requirements include earning a pre-medicine bachelor’s degree, completing 4 years of medical school, and completing a diagnostic radiology residency program, where they receive the experience and training needed to become experts in the technical field of medical imaging technology. State licensing is mandatory, and some states may also have additional certification and continuing education requirements. According to the Bureau of Labor Statistics, there are about 372,000 radiologists working in the US. Another 14,300 radiology positions are expected to be added within the next decade, which is a 10% to 14% increase by the year 2026. Also known as radiographers or X-Ray technicians, radiologic technologists (also sometimes incorrectly called radiology technicians) help perform technical tasks with medical imaging equipment, including x-rays and CAT scans. Professionals in this field may carry a certificate, but more often have earned an associate’s or bachelor’s degree. Find out more on Radiologic Technologist careers here. Also known as CV technicians, cardiovascular technologists assist cardiology physicians with various clinical tasks. While this profession may be learned at a basic level through training on the job, most CV technicians earn a certificate or degree in cardiovascular technology. Like other careers in the radiology profession, CV technologists must demonstrate a thorough knowledge of human anatomy, especially the cardiovascular system, a sharp attention to detail, and the willingness to work closely with patients in a hospital setting. A cardiovascular technologist’s responsibilities are centered on the cardio and vascular health setting, where they have the task of providing support to physicians by helping with imaging equipment and patient care. This specialized profession involves working under the direct supervision of a cardiologist or radiologist, and is very important in using cutting-edge imaging technology to determine cardiovascular ailments, ranging from blocked arteries to an enlarged heart. In addition, CV technologists help prepare patients for testing and therapies, and help use medical equipment to provide noninvasive cardiovascular procedures. CV technologists may start their career with only minimal on-the-job training, however, the majority of cardiovascular professionals carry at least an associate’s degree, and some carry a post-baccalaureate certificate in cardiovascular technology. A quality education helps prepare young CV tech professionals for the rigors of working in a hospital, and should include training in human anatomy, physics, and radiology technology, in addition to supervised instruction in a clinical setting. Aspiring cardiovascular technologists can earn an associate’s or bachelor’s degree in radiological technology, and later take a certification course at an area hospital. Some states may have additional training, certification or continuing education requirements for this profession. According to the Bureau of Labor Statistics, there is currently about 55,000 cardiovascular technologists working in the US, with an estimated 3,500 more jobs added by the year 2026 – that’s a 10% to 14 % increase, which is faster than average. Most CV techs are employed in major hospitals that provide cardiovascular care. A medical assistant with limited x-ray provides administrative and clinical support in addition to various x-ray tasks. This profession requires a 2-year MA certificate with a focus on radiography and x-ray technology. Some states may have additional certification requirements. These professionals are also sometimes called Radiologic Technicians or Limited Scope Technicians. Such a professional is not permitted to perform certain imaging procedures. Permitted practices for both radiologic technologists and radiology technicians varies depending on local state legislation. Check with your state’s health department for current regulations. To begin a career as a medical assistant, start here. See more information on Medical Assisting with Limited X-Ray careers. MRI technicians use cutting-edge technology to create high-definition, 3-D pictures of organs and tissues, which physicians then use to diagnose patient ailments. MRI technicians are radiological technologists who use magnetic resonance imaging (MRI) technology to generate high-definition, pictures of the body’s interior tissues and organs in 3-D, which supervising radiologists then use to make an accurate diagnosis. Professionals in this field have the knowledge and expertise necessary to help keep the MRI process flowing smoothly. The MRI technician profession requires close attention to detail, a thorough knowledge of magnetic resonance physics and technology and the ability to follow directions carefully. In addition, many MRI technologists are responsible for communicating with the patients. Many patients experience claustrophobia during the MRI procedure, and a calm and compassionate MRI technician is critical in keeping them calm and still in order to produce accurate image results. Although MRI scanners do not release radiation like other imaging technologies do, they are still powerful machines. MRI technicians and other operators of these scanners must adhere to strict safety procedures in order to operate them safely. This high-tech profession requires an associate’s or bachelor’s degree from a quality radiologic technology program, followed by 1-2 years of additional training in MRI technology. 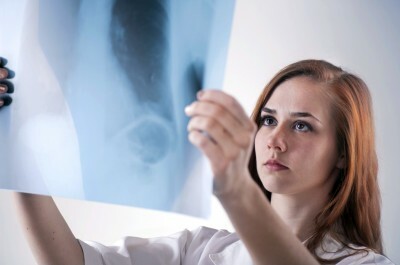 The education in the field of radiology requires a solid foundation in mathematics and physics, and involves a curriculum that includes anatomy and physiology, computer science and supervised clinical experience. Although requirements vary by state, most MRI technicians are required to pass a certification exam and fulfill continuing education requirements in order to perform work. Some hospitals may also have additional training requirements. According to the Bureau of Labor Statistics, about 241,700 radiological technologists, including MRI technicians, are currently employed in the US, with an expected 30,300 more to be needed by the year 2026. This 13% increase is faster than the national average for other jobs, and is mostly due to the country’s rising medical needs. Major hospitals that utilize MRI scanners are the largest employers of MRI technicians. These professionals help physicians in the oncology field by administering radiopharmaceuticals and operating diagnostic instruments. Nuclear medicine techs must earn an associate’s or bachelor’s degree, and in many states must also become certified. Nuclear medicine technologists are professionals who offer medical support through the use of radiation and specialized instruments designed to detect ailments in patients through the use of nuclear technology. Due to the use of radiation in this field, a solid foundation in nuclear technology education and training is important. Nuclear medicine techs should have excellent interpersonal and organizational skills, as well as strict attention to detail and a strong foundation in the medical application of nuclear technology. Nuclear medicine technologists use their mechanical skills and foundation in nuclear technology to help physicians in diagnostics. These professionals use radionuclides, or radioactive atoms, by administering them in the form of radiopharmaceuticals to the patient. They then use highly-specialized imaging equipment to provide a diagnosis through the presence of radiation. Nuclear medicine technologists work under a supervisor as part of a radiology team. This is a highly technical profession that uses cutting-edge technology that may have expanding uses in the medical field, and may change as technology improves. Aspiring nuclear medicine technologists can earn an associate’s or bachelor’s degree through an accredited nuclear medicine technology program. A strong foundation in math and physics will be very helpful when pursuing this career. Some students may also earn a certificate in a related field, such as radiology. Coursework includes nuclear physics, chemistry, radiation and medical terminology, and often includes supervised clinical experience. In many states, additional licensing, certification and continuing education may also be required. According to the Bureau of Labor Statistics, about 20,100 nuclear medicine technologists are currently employed in the US, and that number is expected to grow by 2,000 by the year 2026. This is a growth rate of about 10%, which is faster than the average national job growth rate. The majority of nuclear medicine technologists are employed by major hospitals; however, others are hired by physicians’ offices, diagnostic laboratories, or imaging clinics. Radiologist assistants are highly trained medical professionals who support their supervising radiologist with various clinical tasks. They assist the physician by helping perform the technical duties of radiology, such as operating and maintaining imaging equipment. Radiologist assistants are also responsible for patient care, before, during and after imaging procedures. Radiologist assistants usually carry a bachelor’s or master’s degree. A radiologist assistant provides clinical support by performing tasks such as communicating with the patient, preparing the imaging equipment for procedure and ensuring that safety measures are met. While deeply involved in the diagnostic process, these professionals are not doctors, and cannot make a diagnosis. They must also work under the supervision of a radiologist to when performing certain tasks. This highly technical position requires knowledge of computer science, as well as attention to detail, the ability to follow directions exactly, and compassionate patient care. Radiologist assistants are highly trained specialists and require a solid foundation in quality education. These professionals usually carry a bachelor’s degree or even a master’s degree in their field from an accredited school program, and most employers will not hire professionals in this position without a bachelor’s degree or higher. The curriculum for a degree in radiology is rigorous, and includes classes in anatomy and physiology, radiology, physics, medical terminology. These programs also include supervised clinical experience and training in the use of various imaging technologies. Requirements for other licensing, testing and continuing education may also need to be met, and vary by state. As the radiology profession continues to expand, following the overall trend for the medical field and growing with the emergence of more medical technologies, the demand for radiologist assistants is expected to expand as well. Radiologist assistants are professionals who work directly for radiologists, and are most often hired by major hospitals. These professionals are important to diagnostic procedures, and may work in pediatrics, oncology and many other medical departments. Ultrasound technicians assist doctors in administering ultrasound, a noninvasive procedure that creates detailed images of the internal body through sound waves, rather than radiation. Results of this procedure can then be used by the supervising doctor to make an accurate diagnosis. Ultrasound technicians must earn an associate’s or bachelor’s degree through an ultrasound technology program. Ultrasound technology is a very technical medical profession that involves thorough knowledge and expertise in imaging technology, human anatomy and clinical tasks. Ultrasound technologists usually work under the direct supervision of a radiologist or other physician. Their job responsibilities include preparing ultrasound equipment for procedure, communicating with the patient and relaying procedure results. Ultrasound technologists must be able to follow detailed instructions accurately and be comfortable working with cutting-edge technology in order to help the radiologist produce the clearest results for an accurate diagnosis. All ultrasound technicians must complete a minimum of a 1-year accredited certification program, although most ultrasound technicians carry an associate’s or bachelor’s degree. Acquiring an education to become an ultrasound technician usually involves graduating from a radiological technology program and then completing additional training in ultrasound technology. Coursework for ultrasound technologists involves mathematics and physics, as well as biology, medical terminology and hands-on experience. Most states require that ultrasound technologists pass a certification exam. In addition, some states may also mandate that ultrasound technologists meet continuing education requirements. Employers may have their own requirements as well for this profession. The Bureau of Labor Statistics states that there are about 67,000 diagnostic medical sonographers, including ultrasound technologists, currently employed in the US, with an additional 5,400 expected in the next decade — a 15% increase. This growth rate is much faster than the national average. Most ultrasound technicians are employed by major hospitals, though some work for smaller clinics. For those with a strong interest in the medical field and a passion for patient care and medical technology, now is a better time than ever to consider pursuing a career in the field of radiology. According to the Bureau of Labor Statistics, over 200,000 radiology professionals currently work in the US. Due to the aging baby boomer population, most professions in the field of radiology are expected to increase faster than average, with an estimated 24-28% overall rise in the next decade. In addition, the incredibly detailed insights that CAT scans, MRIs and other noninvasive, radiographic technologies offer means that hospitals will continue to rely on them to help diagnose and treat injuries and illnesses.